Piles of dirty laundry can easily build up around the house when the washer and/or dryer are not working. This inconvenience will cause you to have to take a trip to the laundromat and spend time and money that you just don’t have to spare. Our repairmen can help you to make sure to get the broken appliance repaired. Due to the importance of these appliances, the best idea is to call a repair company that can provide same-day repair services, like Key Glendale Appliance Repair. Bryant, Kenmore, Sears, GE, LG, Lennox, RCA, and Armstrong are just some of the major brands that our repairmen carry the parts to fix. They are also equipped with the tools and knowledge to attend to common and more complex issues with your washer and/or dryer. And the best part, they are able to do this within the initial visit to your home. We have the knowledge to diagnose where the noise is coming from and to figure out if a part can be repaired or needs to be replaced. 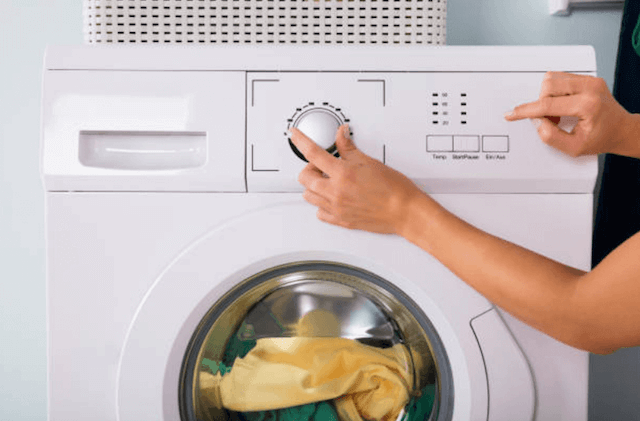 Loud or consistent noises is one of the most common issues with these appliances. Many times, the source of the noise is either a faulty pump motor or a worn-out belt or bearing. First and foremost, check to make sure that the appliance is plugged in and that a circuit breaker has not been tripped. There are a host of other reasons why this could happen such as broken door latch, timer, or thermal fuse. If it is not agitating, it could be due to agitator cogs, transmission, coupler, or drive belt. The spin cycle is an important part of the washing process and when this isn’t working it can really put a damper on your laundry hamper. A wax motor, door latch, or motor coupling could cause this to happen. An overflow can cause a huge mess on top of the inconvenience of not being able to use the washing machine. This can be caused by the water level pressure switch, the air dome tube, or the water inlet valve. Loud and/or constant noises are one of the most common issues that people have with their dryers. Our technicians have found, through their experience, this happens because of broken bearings, seals, or worn-out belts. Broken heating element, high limit thermostat, or cycling thermostat are usually the cause of this problem. It is also possible that these same broken parts could cause a dryer to get too hot. Either way, a dry that doesn’t dry your clothes is just something that takes up space in your laundry room. Before calling one of the qualified repairmen, check to make sure that the dryer is plugged in and the circuit breaker has not been tripped. Otherwise, it is either the heating element, high limit thermostat, or cycling thermostat that is keeping the machine from turning on or tumbling. The dryer won’t turn off because of either a broken door switch or timer. This is just as inconvenient as not turning on at all because the clothes could be burned. The timer is necessary for the dryer to function properly. This is usually caused by a bad timing motor or cycling thermostat.